Late sixteenth, early seventeenth century. The bowl is unusual in having two floral patterns on panels that repeat. The more usual style is for a cylindrical bowl. 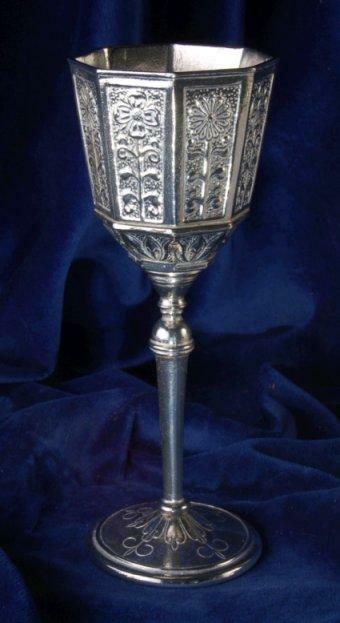 The goblet measures just under seven inches tall (17.5cmm).